Some of the nation’s top musical talent will help bring “Bromberg’s Big Noise” festival back to the Wilmington Riverfront. After a seven-year hiatus, Bromberg’s Big Noise returns with six national touring artists, headlined by legendary guitarist, and Wilmington resident, David Bromberg, Rock and Roll veterans Chris Robinson Brotherhood, and Grammy-winning Rock and Roll Hall of Famer Dr. John. The festival will take place on Saturday, May 20, at Tubman Garrett Riverfront Park. Tickets, including General Admission and VIP, are on sale now via bignoisefestival.com. Proceeds from the festival will benefit the Ronald McDonald House. Parking is available at 201 N. Walnut Street just a block from the site, and it’s easily accessible from I-95, as well as Amtrak and Philadelphia’s SEPTA trains through the Wilmington Train Station. Bromberg’s Big Noise will once again feature a close, collaborative lineup of accomplished artists that marked the first festival. In addition to Bromberg, Dr. John, and The Chris Robinson Brotherhood, Anders Osborne, Larry Campbell & Teresa Williams, and Front Country round out a lineup of continuous performances from 12 noon to 8 PM. 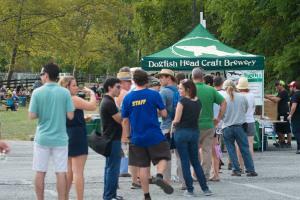 Bromberg’s Big Noise will also feature a craft beer garden hosted by Dogfish Head, the Official Beer of Bromberg’s Big Noise. Hungry fans will be able to sample a wide variety of cuisine provided by a fleet of a dozen food trucks from throughout Delaware and the Mid-Atlantic region. Rounding out the festival will be an Artists’ Market featuring independent artists from the Wilmington area, including Wilmington’s own Spaceboy Clothing who is the official festival merchandise provider. Vinyl record vendors will showcase LPs, 45s, and audio equipment to go along with a diverse selection of arts and crafts vendors. Join the festivities of Wilmington Grand Prix weekend, May 19 to 21 featuring time trials, professional and amateur criterium races, and a street festival. 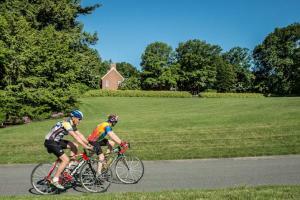 Plus, the Delaware Gran Fondo (big ride) caps it all off on Sunday, May 21 with a spectacular multi-level ride through the beautiful Brandywine Valley countryside - all linked by rare access to the private roads of 13 world-class cultural attractions. Delaware is now ranked the #3 most bicycle friendly state in America and the #1 most bicycle friendly state on the East Coast. Come experience the ride of a lifetime as you take on the spectacular rolling hills of chateau country and traverse any of three courses including 100-kilometer, 50-kilometer and 24-kilometer rides. Wilmington is just 100 miles from NYC and DC, 30 minutes from Philadelphia, and 90 minutes from Baltimore.